What is the first thing that comes to mind when you read the word “Coca-Cola”? Most probably you will recollect the bright red logo of Coca Cola with the fancy “C”. This is the power of a logo. Not only does it help in branding, but also provides the means by which consumers can emotionally connect with the product and subsequently, the brand. You can take any successful brand in the world and if you have experienced the services or products of the brand, you will remember the logo. Have you ever wondered how a small design can represent an entire brand or business? Yes, that is the power of logos. Due to their long-term impact on consumer recognition, logos evolve over long periods of time and in some cases, they don’t change at all. If you frequently change logo designs, then consumers may start ignoring it out of confusion and lack of stability. This also affects the consumers’ perception of the brand itself. A carefully designed logo can help any business stand out from the crowd. This involves selecting the best color combinations, conceptualizing a way to represent the business and its services, and maintaining relevance with the industry. Remember, the logo will always remain in the minds of the consumers and they will start associating the design and color themes with the brand. Every brand should consider the following logo design tips if they want to establish a powerful brand image and beat the competition as well. Check out the following logo and identify the brand. Yes, you guessed it correctly. This is the famous logo of McDonald’s restaurants. 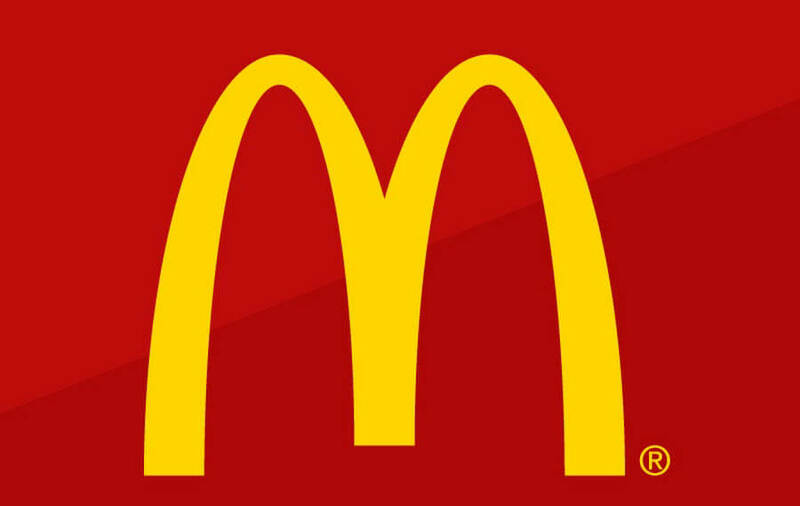 Not many people know that the logo was based on the actual yellow arches outside the original restaurant which was intended to be a showpiece so that customers may identify the place even from a distance. It has been decades since the restaurant opened and even now, customers can recognize the logo anywhere. It has stood the test of time and despite increasing competition in the market, McDonald’s is a known name and continues to be one of the most popular fast food joints around the world. Is your logo distinctive? The best way to determine this is to compare your logo with the competition and see if it stands out. Ideally, a carefully designed logo should have a unique and distinctive appeal which consumers should be able to relate to the products and services. It is this connection which ensures long-term results for the brand and goes a long way in developing the correct brand image. Take a look at some popular ice cream brands below. Which logo stands out for you? Most of you will find Baskin Robbins more appealing than the others. The Baskin Robins logo is distinctive and also has a hidden message where the B and R actually contain the number 31 which signifies the 31 flavors offered by the brand initially. This is the most obvious rule for logo designing. One of the problems associated with the World Wide Web is that you can easily access royalty free icons, text, fonts and style at the click of a button. This means logos can be created using existing resources and the end result is that most logos end up looking the same. Avoid these cheap tactics and be original, especially when it comes to designing the logo of your brand. Check out this logo of Spartan Golf Club. At first glance, the logo might appear to be simple primarily due to its simple typeface. But take a closer look at the logo. Not only does it show a golfer taking a shot and the curve showing the angle of the shot, but also the head of a Spartan which is depicted by all the elements of the logo. Such a logo cannot be replicated easily, especially when it comes to aligning the business with the logo design. This is why brands need to be original and creative. Have you ever felt that looking at certain colors evokes a specific emotion? If not then do try it. It is a universal fact that colors have the power to stimulate emotions and have a profound impact on a person. It is this power that every brand should utilize in their logo to get the most out of it. The following color scheme should help you understand the impact of colors. If you use more than one color in the logo, make sure that the colors are within the same range of tone. 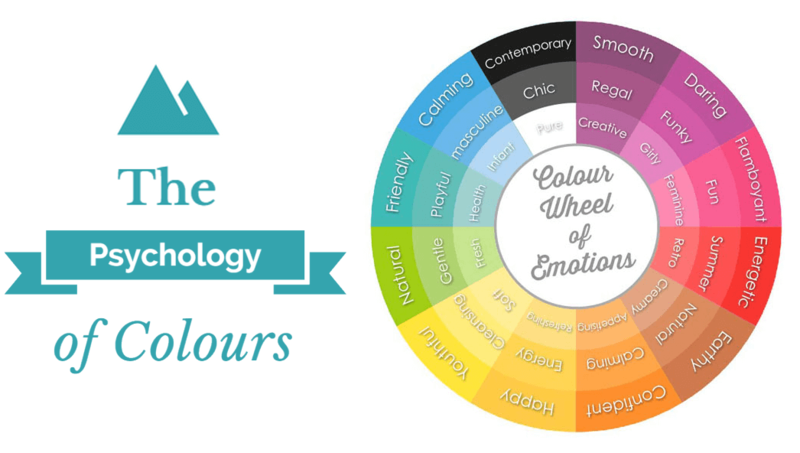 To better understand the colors that go well together, use a color wheel. Let’s examine the evolution of Microsoft’s logo and understand the impact of color selection. The company has always made use of the color ‘blue’ and has experimented with different shades and tones of this color while utilizing other colors which go well with it. It started as a monotone logo with a box type design in 1985 and in 2012, it resurrected its original design but gave it a modern touch., This is how brands should utilize color and make sure everything is in sync in order to ensure long-term impact. Although the logo design is one of the most crucial elements of the branding process, the process itself doesn’t initiate with the creation of the logo. The reason for this lays in the fact that logo needs to be aligned with the business and strategy. The alignment cannot be done until the business strategy has been implemented in real world scenario. It is also important for consumer behavior to be analyzed before proceeding with the branding efforts. Check out the evolution of Google’s logo which also happens to be one of the best examples of how a logo is aligned with the business’s strategy. If you notice the change in the logo after September 2015, you will notice that it goes perfectly well with the ‘material design’ concept that was adopted by the business and it reflected on all of its products. Hence, making the change in its logo was a smart strategic move. If Google plans to bring out new changes that reflect across its products, then there will another change in the logo design. However, understand that the changes are minor and do not require a complete rework of the logo itself. Versatility is one of the most important factors to consider when designing logos. A versatile logo will not undergo design changes to look best on different media; rather it will have the same design but will be color agnostic. Even if you put it in black and white, the logo should look appealing enough and this is how logos become versatile. Let’s take the example of Apple Inc. Although the logo has evolved over the years to the “apple with a bite missing” which we love so much, the design can be used in different color combinations without affecting its appeal. This is how a versatile logo should be designed. Have a look below. Notice how the Apple logo does not lose its appeal even though different color themes have been applied to it. The reason for changing the color theme can range from adapting it to a particular media or making it relevant to a particular event. This is the kind of versatility that your logo needs to have. You can search and select any logo and you will find that every single one of them tells a story. Logos that are designed with care and thought always tell a better story with much more clarity. This is what you want to achieve when you design a logo. Very few people know that a logo tells two stories and not one. The first is the obvious story which all of us can guess. The second story is more of a hidden theme that takes a while to understand but the good thing is that when you do find out, you appreciate the logo and come closer to the brand. Amazon’s logo is one of the most popular and well-known logos in the world today. Check out its logo below and try to guess the hidden story. Were you able to find the hidden story? Most of you will relate the bent arrow as an indication of a smile which represents customer satisfaction and happiness on receiving products from Amazon. But take a closer look and you will realize that the arrow originates from the letter ‘A’ and ends at the letter ‘Z’. This is a carefully planned design which suggests that Amazon has products ranging from ‘A to Z’. Isn’t that interesting? The next time you look at the Amazon logo, you will definitely have a smile on your face when you realize the hidden story was staring you in the face all along. Have you wondered why replicas of famous logos exist? It is because insufficient care went into the designing of the logo. Logo design basics suggest that a unique typeface is used for the logo. You might spend hours browsing through the seemingly endless list of fonts and styles, only to come up with something that looks attractive but once it is discovered, logo plagiarists will rip the design apart in no time. Custom typeface will always deliver long-term benefits as compared to something that you have downloaded from a database of “existing” style. One of the most popular examples of unique typeface in a logo is Coca-Cola. Notice how the letter flows and has a distinct personality of its own which every one of us remember clearly. This is the power of unique typeface. Had Coca-Cola preferred to use an existing font, the logo might not have been that appealing and it would have gotten lost amidst the thousands of “common logo styles” that exist today. Very few logos exist which have not seen any changes to the design. Most logos evolve over time in order to remain aligned with the business and strategy, as well as to have better value for the brand itself. Never create logos in haste. Take your time, hire the best designers and give a lot of thought behind the concept of the logo before you make it a reality. It will definitely be worth it in the long run and years later, you will be the happiest person in the world to see people develop a personal connection with the logo.